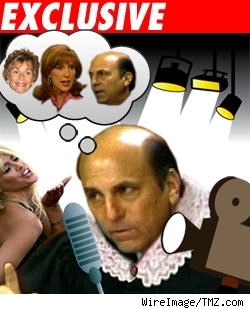 TMZ has learned Judge Larry Seidlin's dream is to become a judge on a TV courtroom show. Judge Seidlin, whose name is extremely similar to Judge Judy Sheindlin, graduated from night law school in New York. Seidlin was a taxi driver who worked his way through school. At 28, he was the youngest judge ever to be elected in Broward County. The 56-year-old judge is married with a young daughter.